It’s the Pop Tower Podcast! KwinnPop’s Peter “Man Behind the Myth” Dawson and James “Soulful Lordy” Bullock talk about the film-adapation of Alita Battle Angel, Stephen Merchant's WWE film Fighting with my Family and the third season of NBC's The Good Place (also featuring Stephen Merchant). Did the combination of James Cameron and Robert Rodriguez deliver for Alita? Was Paige's biopic film worth the wait? Why is the Good Place considered possibly one of the best ... See More comedies on television? 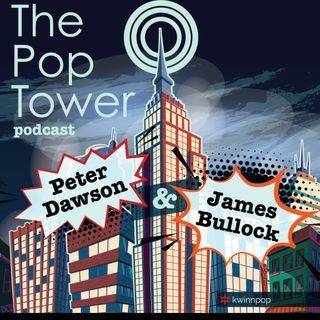 These questions will be answered as Peter and James talk television and movies from atop the Pop Tower.